I feel like voting Hater ATM due to me not being active within the game and I've had limited contact with him and he's fishy. Who are you calling Blaze now, hm? oh ye, forgot about that. Anyways, time to publicly counter claim, I am the deputy. who edited my excessive xd's ? 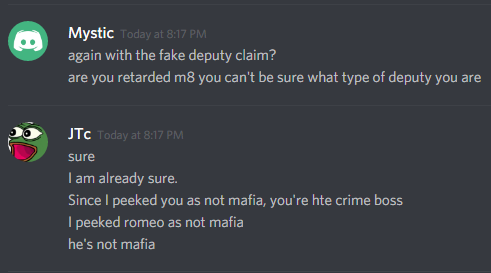 all i say is you're not mafia.